The expulsion of the Moorish in 1609 (in 1610 that of the Aragonese) brought about an economic breakdown never seen before since this was a land of great craftmen and farmers. The war against Catalonia in 1640 will deplete the resourcers of the region which will have to contribute to this civil conflict with men and money. As reward, Felipe IV granted Alcañiz the title of City in 1652. In the 18th century the War of the Spanish Succession culminated in the Bourbons dinasty which brought about the absolute monarchy in Spain. The country was divided between advocators of Felipe IV and the archduke Carlos. However, the city and its county fell into the hands of the troops of Felipe V.
When the Aragonese jurisdictions were abolished in 1707 there was deep change in the administration of the Kingdom. The Courts, the Diputation and the viceroy disappeared and thirteen administrative districts were created among which, the district of Alcañiz was the second most populated and vast after Zaragozas. This division will be kept until the new division of the provinces was set up in 1833. The second half of the 18th century was characterized by impetuous initiatives coming from some minorities thanks to the reforming spirit of the Economic society of Aragon. 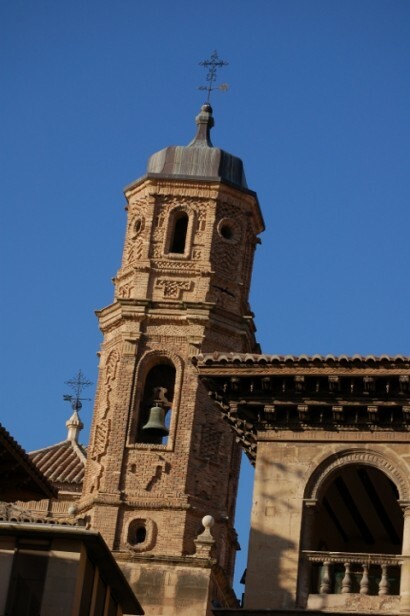 The demand on the Council's behalf to create a religious school in Alcañiz (Las escuelas Pías) constitutes a clear illustration of the spirit of this age.